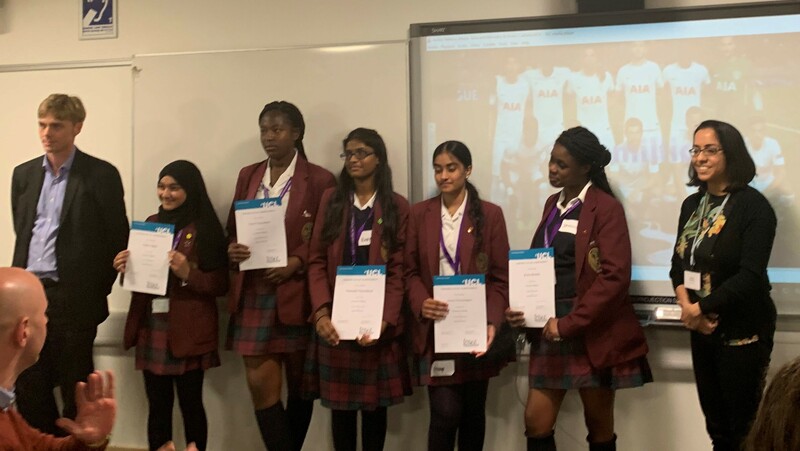 Five secondary schools around London (Hatch End High School, Lammas School and Sports College, St Anne’s Catholic High School for Girls, Brampton Manor Academy and The Charter School) were selected for the new Economics Challenge modeled around the First Year Challenge. The challenge is based on creating a 3-min video or podcast focusing on their local area and relating it to CORE’s The Economy Unit 1. UCL student mentors, our own economics undergraduate students, were assigned to guide each group in preparing for the challenge as they themselves have already experienced the First Year Challenge. On February 11th, each school sent students from year 10 and year 11 to experience what it would be like to study economics in a university environment. A celebration session took place on March 4th where the secondary school students received participation awards and the winning group was announced. Both events featured presentations from UCL undergraduate students, societies and staff members to highlight the opportunities and research taking place within the Economics Department and UCL as a whole.